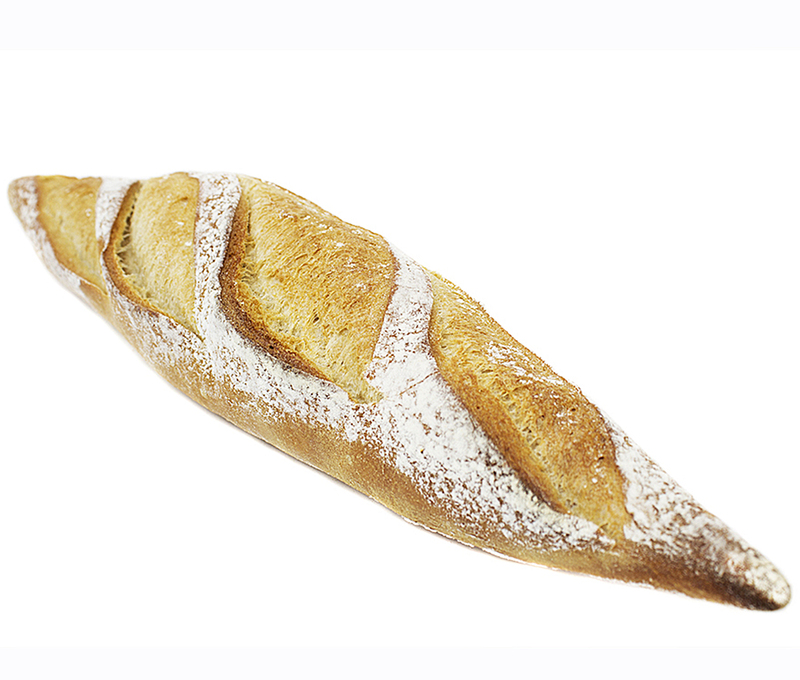 This baguette should be enjoyed in the countryside. It’s characteristics are it’s mild sourdough tang and the two pointed ends that demand to be broken off as you’re walking to the destination. Get there quick otherwise you’ll be running back for more. The Campaillette Des Champs accompanies meats, cheeses and stews.